You're at sea, in your long boat, between one ransacking and another, and you're suddenly parched! What do you do?! 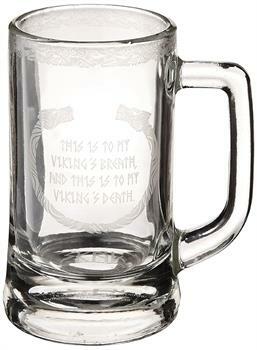 Why, pull out your Vikings glass stein of course! This glass stein mug has the following etched on the sides: "This is to my Viking's breath, and this is to my Viking's death".